Jeff Wilson has reported that Brandon McCarthy has been placed on the 7-day DL in Oklahoma City with a stress fracture of his right scapula. Unbelievable. Seriously unbelievable. Bones get stronger after stress fractures. It's part of the healing process sometimes referred to as overcompensation (or supercompensation). Bones respond to stress and stress fractures by growing thicker, stronger, and more dense. This is the third diagnosis of a stress fracture in McCarthy's shoulder. Having been through this twice before, McCarthy's shoulder blade should be plenty strong enough to withstand two months of pitching, but it apparently isn't. What is believable, though? I see a couple of possible explanations. The original stress fracture from 2007 simply may not be healed. If this is the case, the cause is likely dietary, but it could be that the injury has never been given sufficient time to heal. Stress fractures often become pain-free well before they are actually healed. Another explanation is that the problem is not actually a stress fracture. Soft tissue is much more susceptible to re-injury than is bony tissue, and the location of McCarthy's injury is a confluence of soft tissue that literally encapsulates the glenohumeral joint. The recommendations here are running short. McCarthy attempted a mechanical overhaul, but it doesn't seem to have accomplished its chief goal despite leading to a sparking ground ball rate at Oklahoma City where McCarthy has been excellent. At this point, it looks like mechanics aren't McCarthy's real problem. If it isn't his mechanics, the culprit is one of the following: diet, strength/conditioning, and genetics. Genetics, of course, can not be changed, but the other two can be addressed. In addressing the diet, there are three things to watch for, and they all go hand-in-hand. The goal is improved bone density so the main focal points are calcium, vitamin D, and pH balance. I am not a dietician or a nutritionist, so I will stop short of making specific recommendations. 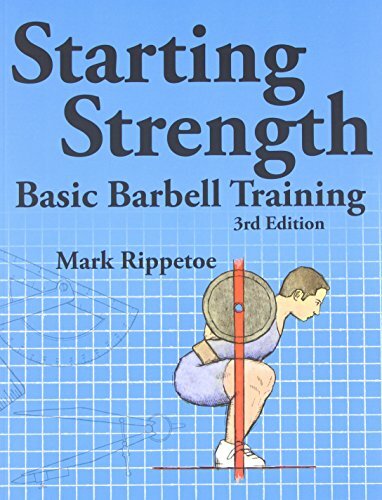 In addressing potential strength and conditioning issues that may be contributing to McCarthy's problems, a recently published DVD set contains just about everything anyone would ever need to know ranging from prehab and diagnosis to rehab and high performance. You (and Brandon McCarthy) should check out Optimal Shoulder Performance.